Revolut banking is one of the latest financial sensations from the FinTech startup world. Not only, they don’t exist on any high street, and keep their banking strictly to a mobile app; they have also recently joined the cryptocurrency frenzy. Launched at the beginning of December, Revolut cryptocurrency wallet and exchange for modern banking allows customers to buy and store cryptocurrency. Although it’s only the first phase of the cryptocurrency expansion, and there’s still a lot missing, Revolut is undoubtedly the first financial institution to build a bridge between traditional banking and cryptocurrency trading. Revolut is a FinTech startup from the UK which accumulated over a million customers across Europe in less than three years since its launch. One of the most recognisable features of Revolut is the inexistence of traditional bank branches. Instead, everything is based on a mobile app and customers can access support via phone or email. But, the lack of bureaucracy and modern approach are not the most attractive feature of Revolut. Creating an account with Revolut is more similar to creating a PayPal account then to filling up lengthy forms and never-ending conversations with a representative. Revolut account is essentially an electronic wallet with a personal IBAN number and payment card which can be topped up and used for payments worldwide. The startup offers two choices for banking – free of charge and premium which comes with perks such as travel insurance, airport lounges and soon-to-come investment services. Another significant advantage of Revolut are the attractive foreign exchange fees. The company tries to match the interbank fees as much as possible and charges only 0.5% of the transaction fees. While the current customer base is mainly scattered around Europe, Revolut is planning an expansion to the US, Singapore, Hong Kong, Australia and New Zealand in early 2018. 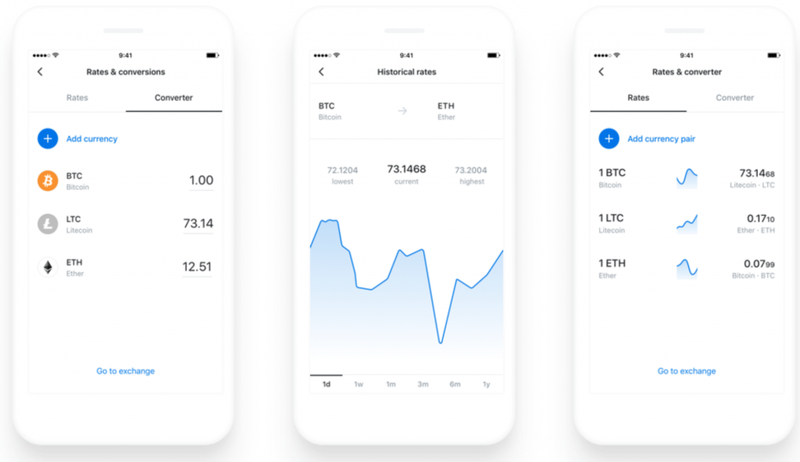 One of the Revolut’s newest features is cryptocurrency wallet and exchange. The mobile banking startup is trying to erase the divide between old and new money, allowing customers to buy, sell, trade and hold Bitcoin, Ethereum and Litecoin alongside 25 world fiat currencies. Customers can easily exchange their fiat currency for one of the digital currencies and both are stored at the same app without the need for a third-party involvement. Currently, the coins cannot be transferred to an outside wallet, nor to the Revolut account. So if you already own cryptocurrency, you won’t be able to transfer it to your Revolut wallet. Conversely, if you invest in crypto via Revolut, you cannot send your funds to an outside wallet. This close loop system has been imposed due to compliance regulations, and caused somewhat of a backlash from customers who moved to Revolut banking purely because of the cryptocurrency feature. All crypto funds are stored in an offline cold storage, meaning customers don’t actually have an access to their private key – both fiat and crypto are accessible through a PIN code. Revolut security features are much stronger, though, the majority of cryptocurrency exchanges, so the likelihood of a hackers’ attack is also significantly lower. The bank also promises the most competitive rates on crypto transactions, charging only flat, up-front 1.5% fee. On other platforms, these fees can go up to 10%. Customers can purchase crypto with Revilut’s base currencies, hence there’s no need for additional foreign exchange fees if you want to buy in Dollars or Polish Zloty. If you’re spending money through your Revolut account and you unexpectedly run out of fiat currency, Revolut will automatically transfer your crypto into the fiat account. The first stage of Revolut incorporating cryptocurrency to their services is certainly not the last one. While cryptocurrency is preparing to go mainstream and it might be seen as a distraction from the Revolut’s main business – Stronky feels that it will soon become a crucial part of everyday banking. Revolut reported that during a week-long crypto beta test, 10,000 customers traded $1 million in cryptocurrency. Currently, Revolut’s cryptocurrency feature seems more appealing to investors – who prefer the convenience of having everything in one place, rather that the anonymous and decentralised aspect of cryptocurrency. Even though the Revolut cryptocurrency wallet and exchange for modern banking have not been welcomed as much by crypto-enthusiasts, those who are looking for a long term investment shouldn’t be disappointed. Revolut banking will certainly keep on growing, and with cryptocurrency market facing the same trend, it seems like a perfect match and embracing cryptocurrency could lure FinTech early adopters to Revolut. However, if you prefer traditional ways of investing in cryptocurrency, read our guide to the best cryptocurrency exchanges.